A document outlining the future relationship of the UK and the EU has been "agreed in principle", the president of the European Council has announced. In a tweet, Donald Tusk said that a draft of the political declaration, which sets out the country's relationship with the EU after the transition period, had been agreed at "negotiators’ level" and "agreed in principle" at a political level. He wrote: "I have just sent to EU27 a draft Political Declaration on the Future Relationship between EU and UK. "The Commission President has informed me that it has been agreed at negotiators’ level and agreed in principle at political level, subject to the endorsement of the Leaders." The political declaration together with the withdrawal agreement will form the UK's final Brexit deal. The document is considerably shorter than the 585-page withdrawal agreement, which has now been agreed. 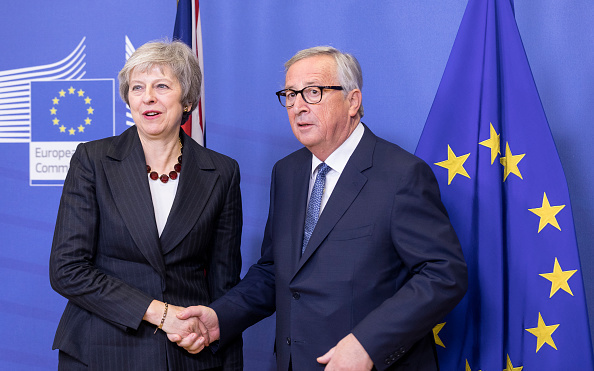 Theresa May met with European Commission president, Jean-Claude Juncker, on Wednesday to discuss the deal and will meet with him again on Saturday. It is hoped that the political declaration will be finalised ahead of an EU summit in Brussels on Sunday, where EU leaders will meet to "finalise and formalise" the Brexit deal. If both the withdrawal agreement and political declaration are agreed with EU leaders, the Brexit deal will then be voted on in Parliament in December.